Wedding Cake Flowers - Custom designed wedding cakes & cake toppers. 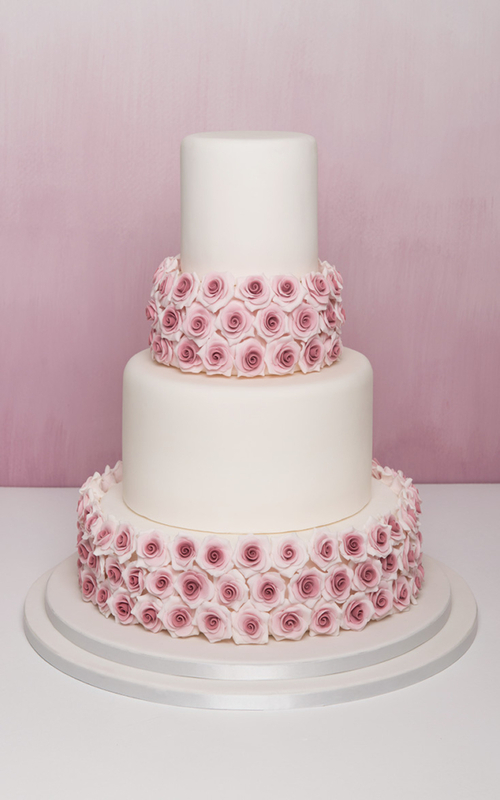 Vintage ombre wedding cake flowers – A classic four tier wedding cake with a modern twist. In contrast to the simplistic contemporary tiers, the ombre dusky pink shades give it a vintage feel. 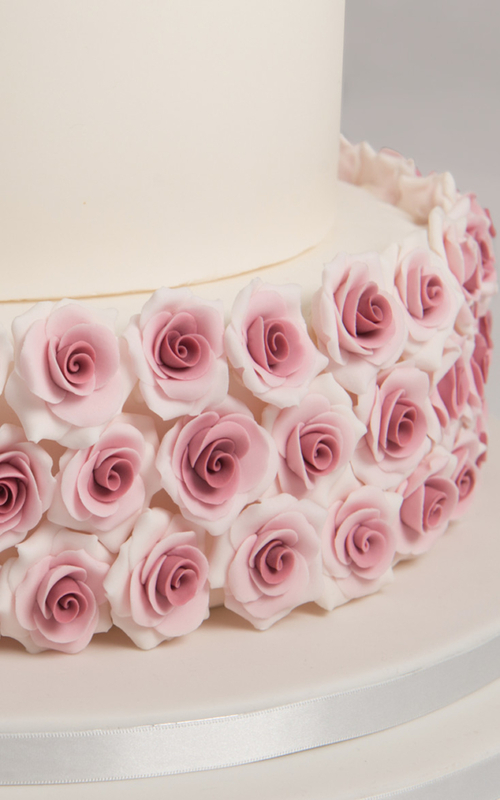 Hundreds of hand crafted sugar roses are intricately arranged for an extravagant finish.